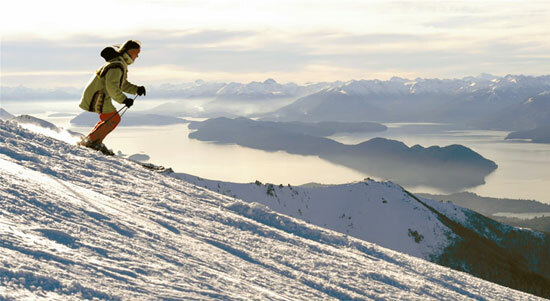 There are many reasons why choosing your holiday in Patagonia. It is one of the most celebrated natural vagaries of the world. It consists of wonderful mountain scenery and glacial lakes. Many things to visit in Patagonia besides activities and adventures if you decide to visit it. If you have organized the trip in winter season, you are a person who likes to be very active then Patagonia has almost 90% of ski resorts in Argentina, with different levels of trails for all ages. The Cerro Otto is postulated as the ideal place to learn to ski and spend a beautiful day, enjoying the snow and the landscape overlooking the stunning Lake Nahuel Huapi. Would you dare? Did any ever wanted to live in a culture totally different from yours? For those tourists who choose to experience other adventures, this tourist route provides a wide variety of discovering traditions, music and cuisine between lakes, forests and mountains. This tourism is very bohemian ethnic and where you can get to get learn to live this culture for a while everyday activities are sheep farming, land crop and food processing and handicrafts, in Neuquén is combined with adventure activities lakes, mountains and valleys. All these places invite tourists to see the customs and religion develop various services to tourists. You will leave here with a big smile and a nice experience. If you are looking for a vacation mixed with relaxation to leave the stress of work, then in Patagonia there are a Hot Springs and Spas where you can do the Thermalism is considered a good therapeutic for good health and relaxation, as well as a synonym for wellness, beauty and vitality. Neuquén has many hot springs in their territory. Other options are Domuyo hot springs, known for its healing properties and thermal Epulafquen near Junin de los Andes, which are especially recommended for relief rheumatism, liver dysfunction and skin problems. the spa offers treatments of all kinds. 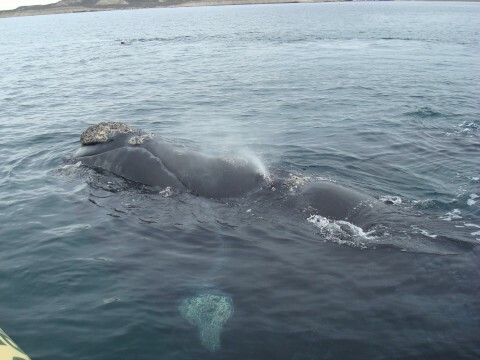 During the winter and the arrival of spring, a lot of whales approach the Valdes Peninsula region, mainly to San Jose and Nuevo Gulfs, in the province of Chubut. Cities like Puerto Madryn, Puerto Pyramids and Trelew are visited mass tourists from all over the world, who come forward to seeing the famous whales from both the coast and from some of the boats that offer the service of sightings. September and October are the months of highest concentration of these mummers. The peninsula and the magic of the whales Attract tourists from around the world and everyone wants to live the unforgettable experience of approaching one of them. Whale watching 45 minutes, that time is regulated to avoid disturbing the animals and maximize the number of people who can make the crossing every day.